The holidays are over and it’s time to get down to business. At work, in the gym, and even in your closet. The key to building a wardrobe that works hard and looks great is knowing which staples will do the heavy-lifting for you, day in and day out—that, and getting rid of all those stained, ill-fitting clothes you’re saving for “someday” and “eventually”. To make things simple, we’ve rounded up our top ten buys we think every guy needs in his wardrobe for 2018. You’ve got goals to achieve, we get it. Read on, stock up, and then go crush the rest of that to-do list. 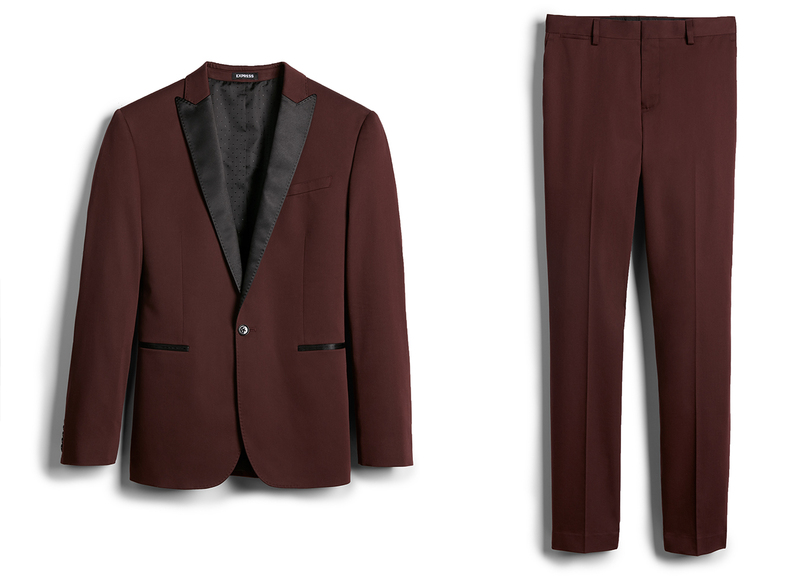 Nothing will give your wardrobe swagger like a suit in a rich color like this burgundy suit. If your office is artsy or just plain cool, you can wear it to work—or wear it after hours for an art gallery opening, dinner date, or birthday party. Just swap the traditional furnishings out for a cashmere sweater and a pair of slick boots and you’re ready for anything the night throws your way. If you don’t own a pair of shoes that bridges the gap between your gym sneakers and your dress shoes, you’re missing out. 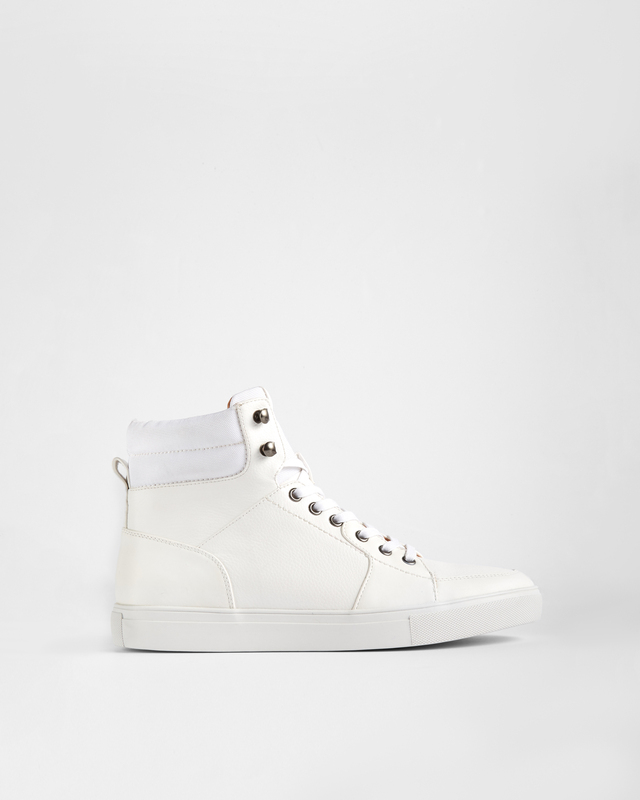 Thanks to their minimalist style, these sleek sneakers work equally well with a suit or a pair of sweats. The high-top shape gives them added sportiness while also keeping your ankles warm in the process. That’s what we call a win-win. A performance coat that doesn’t make you look like your dad circa 1983 is key. 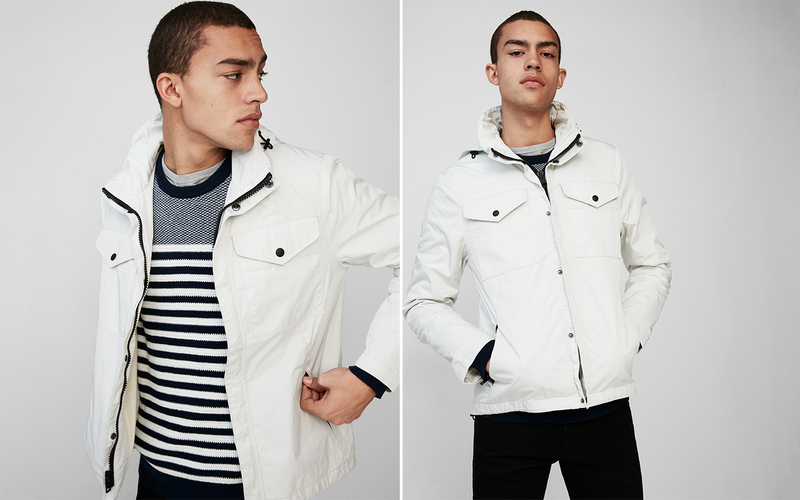 Our parka is perfect. It has all the utility you need—the water-resistant fabric, concealable hood, extra pockets—but comes in slick basic colors so it looks like it’s from 2018. Wear this must-own piece even on winter’s coldest days by adding a quilted liner jacket or thick sweater underneath. A t-shirt and jeans doesn’t have to be boring. 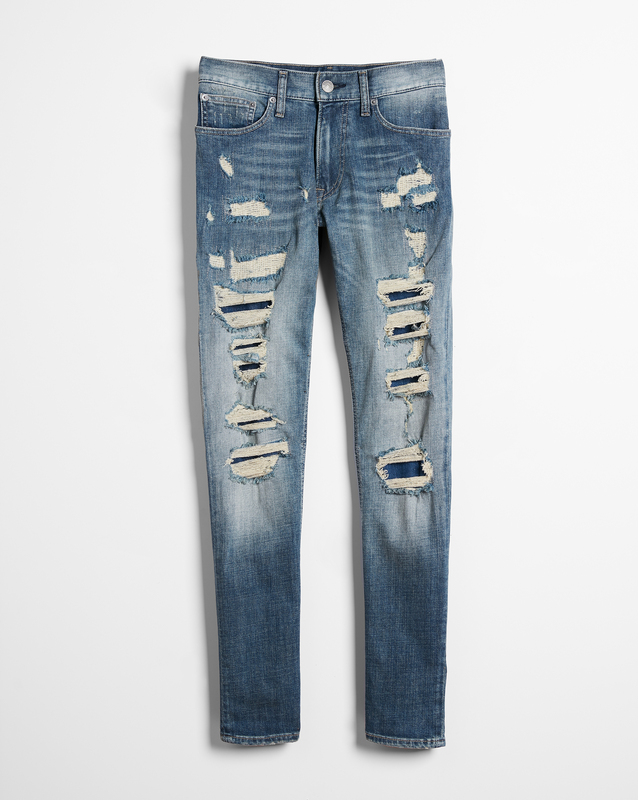 Reach for jeans that are more rock-god than suburban-dad and you won’t have to worry about reinventing the wheel with your wardrobe every day. Ours are just skinny enough to give you the Mick Jagger look without suffocating you in the process, and feature artful distressing from top to bottom for that edgy look. 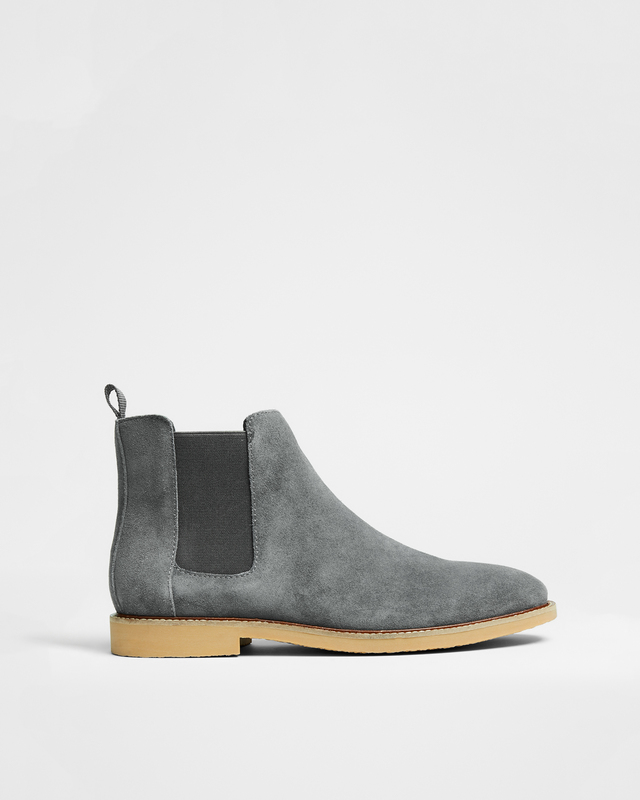 Speaking of rock gods, a pair of suede Chelsea boots are the quickest way to make your jeans, cotton pants, and even suits look cooler. Ours come in gray suede so you never have to make that dreaded “brown or black” deliberation. Wear them with dark gray trousers or a full suit for a modern, monochromatic vibe at work. That weekend, edge them up a bit with a pair of inky black jeans and a graphic tee. Long-sleeve waffle t-shirts are a style savior few articles of clothing can match. Not only are they the perfect base layer on winter’s coldest days but, worn alone, they make you look fit, handsome, and wholesome in the best way. 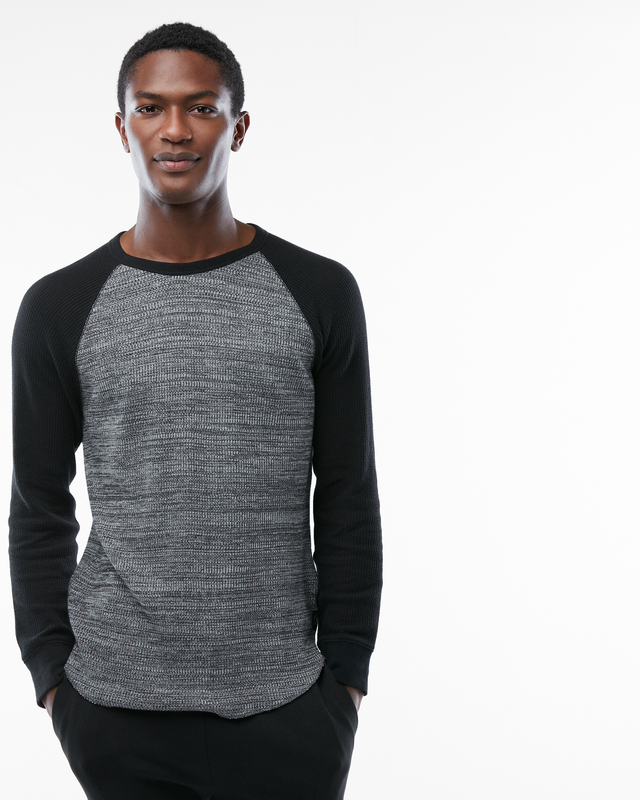 A waffle Henley always works but we’re feeling the classic crewneck this winter for a change of pace. Feel free to buy one in every color, guys. Nothing against your puffer coat but when you’re wearing a suit or an equally nice outfit, the staple doesn’t always feel like the right choice. This slim, black mac is the solve for all of those moments and then some–we even like it with a hoodie, jeans, and sneakers for a dressed up take on off-duty style. 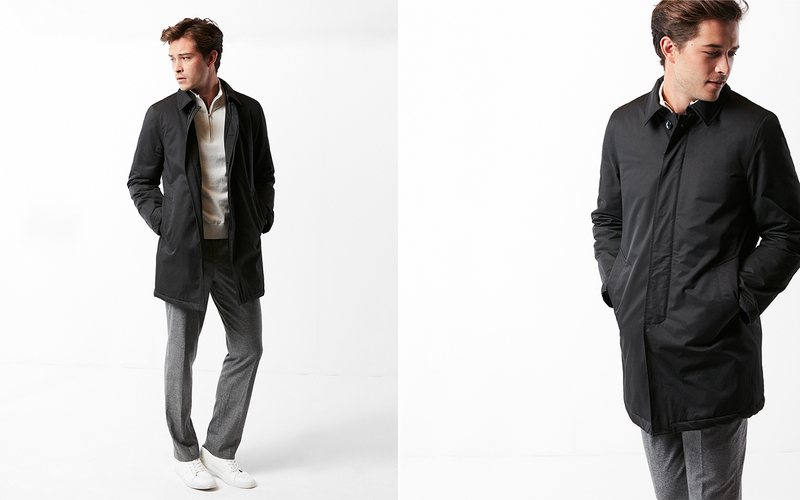 Our men’s trench coat is quilted on the inside for added warmth and structure. We love hoodies, you love hoodies, your boss…might not love hoodies. Trick him or her—and everyone else in your life—into getting on Team Cozy with this ribbed, sweater-like hoodie, a spin on the sporty staple. It’s just as comfortable as your go-to fleece but slimmed down and classed up so it works with nice clothes. Yep, even trousers and dress shoes. 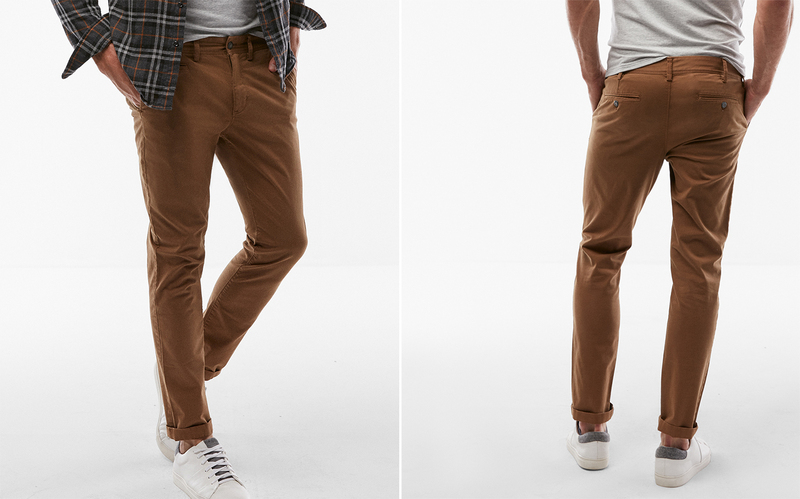 You probably own a pair of chinos in a classic light tan color but this richer, darker shade chino gives the preppy staple an outdoorsy spin we appreciate. Play into the lumberjack vibe with a flannel and rugged, lace-up boots, or go for an Italian gentleman spin with a camel cashmere sweater and brown monk-strap shoes. The latter look is especially great for a busy day at the office. 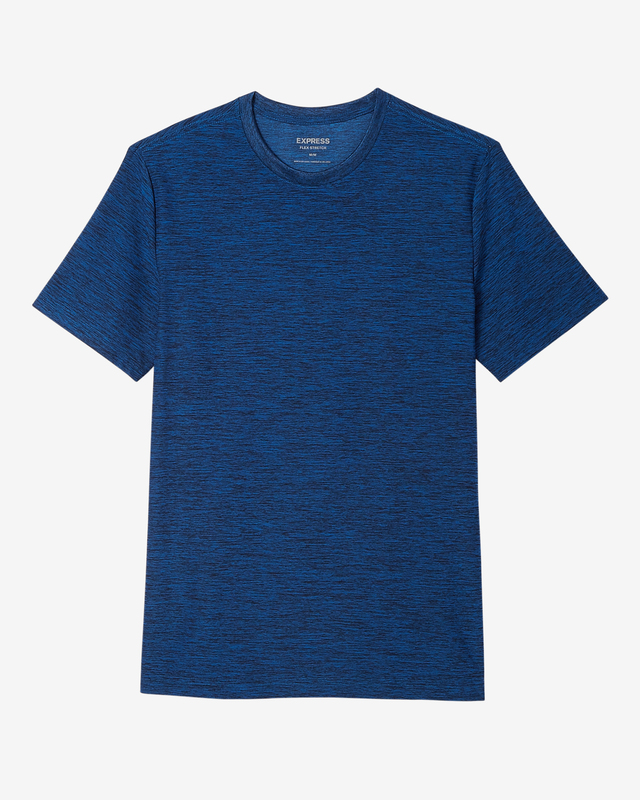 When it comes to workout staples, your 10-year-old T-shirt is no match for our 4-way stretch moisture-wicking tee. Stick to your New Year’s resolutions and turn a few heads in the process with this bold color, high performing shirt. The bonus: It takes up less space in your gym bag than a pair of boxers thanks to its streamlined, lightweight design.